The region of La Vera is bordered to the north and west by mountain formations, with its slopes covered with oaks and pastures, while below dotted with fruit orchards rich, receiving the waters of the Tiétar and its tributaries stretch. They hurl streams and gorges from the top of the mountain and irrigate these lands, whose most famous product is the paprika; the Jet landlady in Villanueva de la Vera, is the most spectacular waterfall, with 80 m. freefall. There are numerous small villages where it pays to stroll to see the traditional architecture. 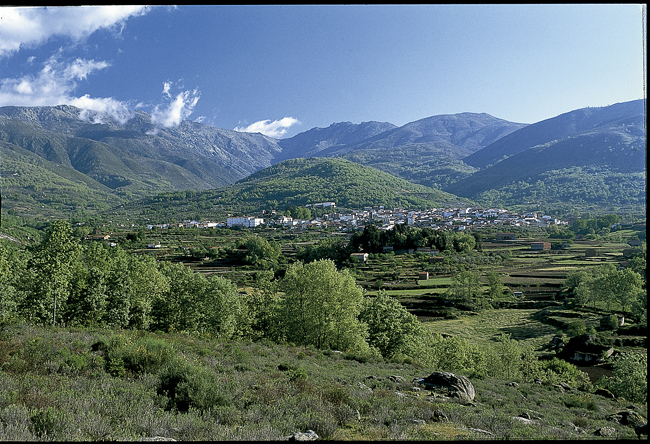 One of the best preserved is Garganta la Olla, nestled in a valley and surrounded by the Sierra de Tormantos north and those of San Salvador and Barnabas, east and west, respectively. In 1978 it was declared all historical and artistic people. 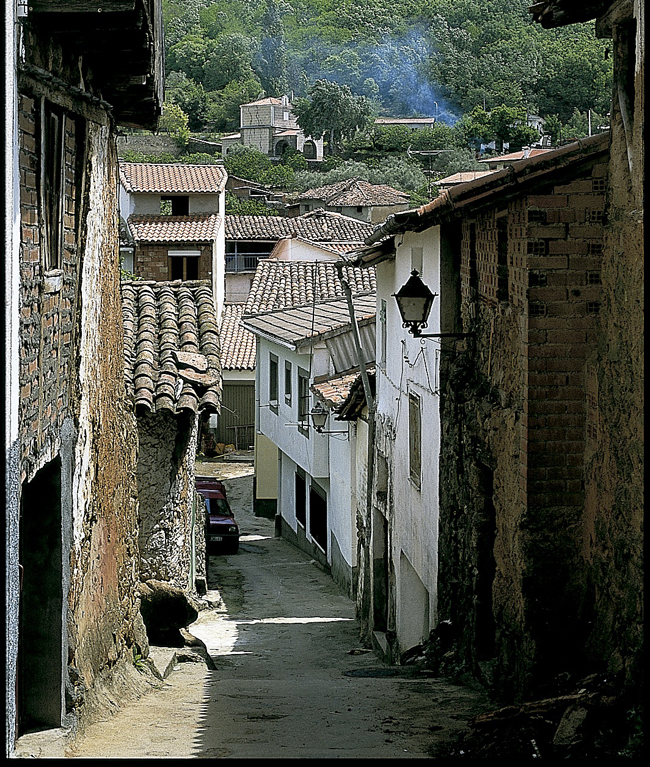 The origin of its buildings dating back to the sixteenth eighteenth centuries and its architecture retains the characteristics of this region, with beams crisscrossing in their facades and wooden balconies corridos. The church is magnificent Renaissance of the sixteenth century and in the center of town is still preserved, with the original pink, the "House of Dolls" former brothel of the Court that brought Carlos V to settle in this area. Cuacos of Yuste and Jarandilla de la Vera are other typical towns of the valley de la Vera. In the first house where Young lived for some time preserved D. John of Austria, natural son Emperor Charles V had with Barbara Blomberg; the whole town is declared a historic-artistic and the church of Our Lady of the Assumption is the fifteenth century. 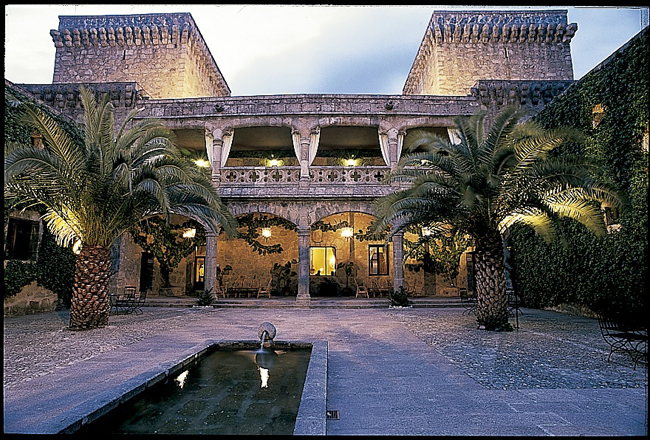 In the second, the most important monument is the castle that belonged to the Counts of Oropesa, now a parador, which was hosted Emperor Charles during the time it took to build his quarters at Yuste. Pasaron de La Vera is another town that although away from the main road, it is worth visiting for the beautiful aesthetics of the whole declared historical and artistic, which preserves a beautiful Renaissance palace private, the church of San Salvador, late XV century with a separated from the rest of the temple tower, and the peculiar Pecharromán museum, in a seventeenth century house faithfully restored, where a collection of paintings, furniture and antiques. There is also a cozy hotel in the center of town. 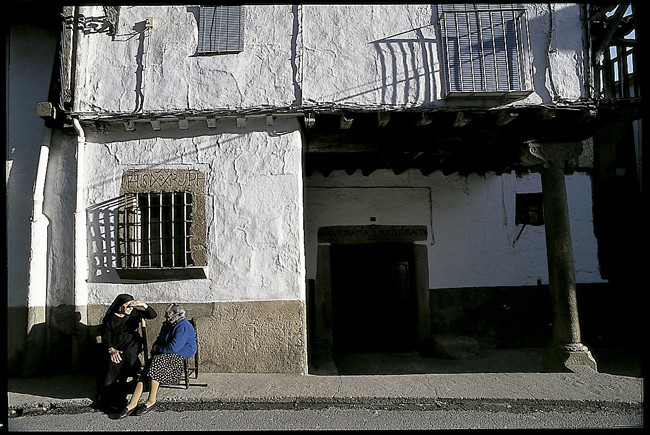 Valverde and Villanueva de la Vera kept several streets and squares with arcades which include the typical houses; both are declared historical-artistic. Valverde rise, along the road, the remains of the XV century fortress built by Pedro de Zuniga. Next to it is the church of Our Lady of Fuentes, that remains of the original Romanesque construction, although most of the temple is Gothic. Inside there is an interesting Baroque altarpiece. The Monastery of Yuste is clearly the most important monument to be found in this region, not so much for its architectural value and its historical content as it spent the last days Carlos V (died September 21, 1558 to the age of 58 years). The origin of the monastery is in the early years of s. XV, when two hermits moved here to begin construction of the monastery, which was attached to the Order of St. Jerome. 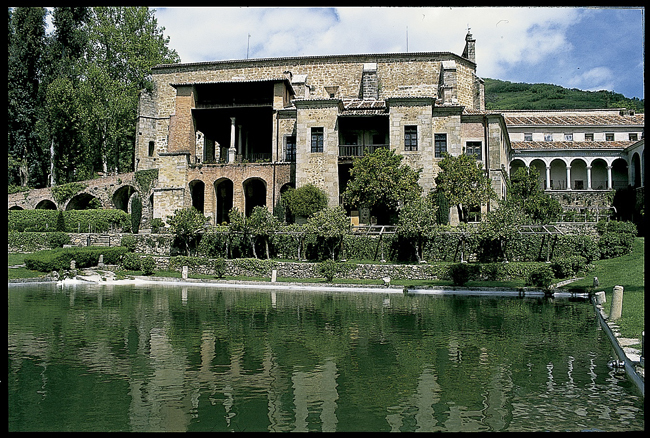 Between 1554 and 1557 the works of the palatial residence, attached to the building and in which Charles V had rooms until he died were performed.